If you have a business in 2018, you must have a solid online presence in order to be successful. This means that an effective marketing strategy is essential to the future of your company. Since most business owners didn’t get a degree in digital marketing or paid advertising, this can be intimidating. If you’ve ever googled “online advertising,” you were probably overwhelmed with the sheer amount of information and number of companies offering lofty goals about tripling your revenue in just a few months. Online marketing has two main functions as a means to draw business to your website: paid advertising (also known as pay-per-click, or PPC) and SEO (search engine optimization). What’s the best way to market your business? Optimized SEO brings long-term value to your company, whereas PPC gives you feedback and results almost instantly. SEO costs you money because of the amount of time it takes to learn and see results, and PPC charges you for every click to your site. 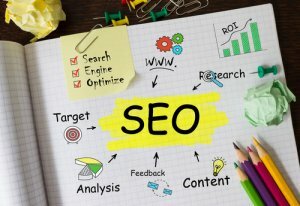 Let’s look into the benefits of both PPC advertising and SEO techniques so you can determine the best fit for your business. When you use PPC, often in the form of Google AdWords or Facebook Advertising, you’re given a wide range of analytics that offer valuable insights into your campaigns. The results are instant, so you know if you’re on the right track. There’s no time spent wondering if what you are doing is bringing in dollars. Google AdWords and Facebook Advertising give you the option to target your demographics in a specific way. If you’re a wedding coordinator looking to sell elopement packages, you can target recently engaged couples who want to get married in your area. If you sell skateboards in a college town, you can target students who are interested in boarding. You are essentially able to target anyone you want, and Google or Facebook will run your ad (if your bid strategy outperforms your competition). PPC is not based on a long-term contract. Businesses are able to use PPC for as little time as they want to advertise their promotion and end their agreement immediately. If you have a limited-time coupon for Labor Day, you’re able to advertise the sale and then end the promotion once the holiday is over. This takes away confusion from users coming to your site after a sale has been completed. Google’s main focus is, obviously, their users. Because of that, they will often make changes to the search engine results page (SERP) to better serve their consumers. These changes can be small, but sometimes, they can be profound changes that dramatically impact sites and their rankings. You won’t have to worry about staying on top of new algorithms with PPC. Have you ever looked at a product online, didn’t buy it, and then start seeing ads for it on the web? This is known as remarketing, and it’s a highly effective tool to target users who decided to not purchase a product at that time. If you look in your analytics and your repeat traffic is low, then remarketing is a way to bring those users back to your site and, more often than not, convert. There are only benefits to having keyword-targeted, informative content on your site. The more relevant content you have, the more time a user will spend on your site, which will lead to more conversions. Becoming a trusted source, whether you are a cooking blog or an ecommerce site, will bring more qualified traffic, who are more likely to turn into repeat customers. Users may still be wary about clicking on advertisements, but they generally trust Google. Users have been conditioned to especially trust the first handful of links listed on the SERP, and if you’re in the top five, you have become a trusted source of information or products. Generally, 60 percent of clicks on the SERP go to the first result. That leaves 40 percent of users looking through the rest of the first page and beyond to find the result they were looking for. In order to gain organic traffic, you must use SEO tactics so users can find you. Unless you’re running campaigns for every single page on your site, you need to find a way to bring traffic in other ways. The best way to effectively market your business, blog, or product is to use a mix of PPC and SEO. While it’s possible to be successful by focusing your efforts on just one or the other, you’ll gain the most value by incorporating both digital marketing platforms. SEO will garner long-lasting impressions that will potentially give you lifelong customers, and PPC will help boost those impressions. 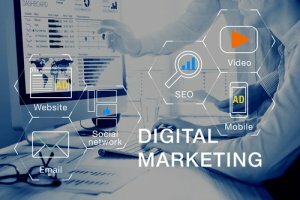 Now that you know the benefits of online paid advertising and SEO techniques, it is important to be aware that both PPC and SEO have a pretty steep learning curve. While you can educate yourself on the basics, if you don’t have a marketing team that is well-versed in the digital sphere, many companies find that using an outside agency to handle their online marketing is not only cheaper but also results in more conversions. If you’re a small business with a slim profit margin, then you may not have the time or money to test different ads or targeted keywords to see what works. Any amount of dollars spent, no matter how small, on a failed campaign is money that you’ll not see a return on investment. You can find SEO and PPC professionals on sites such as Fiverr or Upwork, but trusting your site and business’s income to a freelancer can be risky. We recommend that if you are not going to invest in a marketing team to handle your digital advertising, you find an agency who is experienced with it. With an agency, you can trust that they have a high level of background knowledge and will always be on top of any changes that advertising platforms make. Instead of making grandiose, hard-to-attain goals, a good agency will work with your business, crunch the numbers, and make ambitious yet profitable goals. If you do decide to take on digital advertising and SEO by yourself, you’ll need to become well-versed in Google Analytics and place conversion tracking codes throughout your site. Backlinko, Neil Patel, and Hubspot are valuable places to start when learning about these practices. If you’d like to schedule a free 30-minute consultation with Pro Q to discuss your business’s digital marketing needs, please contact us.